The What: When Matt Lowell, Crisanta Baker and Sam Stewart of Lo Moon quietly released a glacial and pristinely gorgeous 7-minute opus titled “Loveless” last September, it was a shock to the system – the listening system – with all of it’s heady emotional maturity, and intimate pull. We were into it and them and their debut album (due in 2018) is absolutely on our “Can’t wait” list. The translation – or rather the interpretation – is as divided as it symbiotic. And we’re into that, as well. 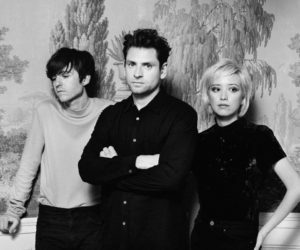 The Where: Lo Moon have tour dates running through December with London Grammar, the War On Drugs, and Jeff Tweedy and Aimee Mann so check out their tour dates on their official web site. You can also keep up with them via Facebook and at @LoMoon on Twitter.